Hi all! 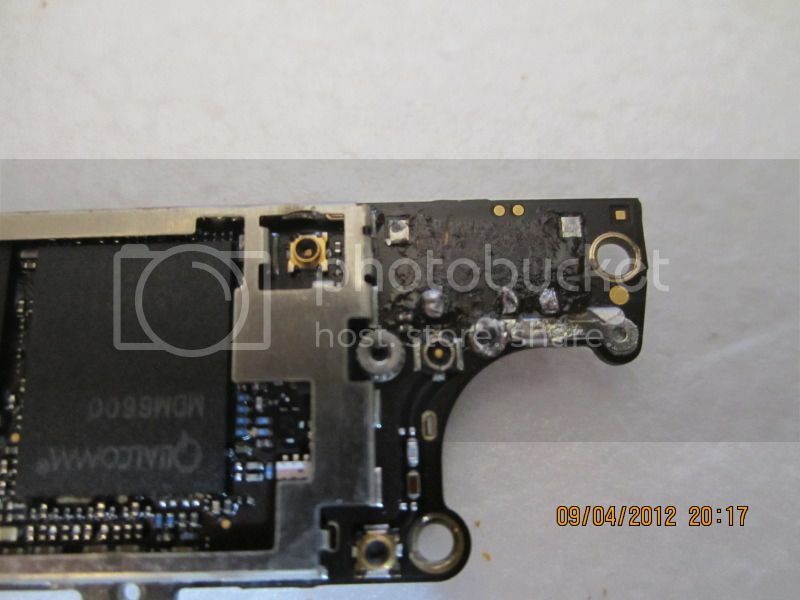 I have been doing a lot of research about bypassing my battery connector because my connector lifted and along with it one of the pad where is attaches lifted as well when I was replacing my cracked screen and I have been seeing a lot of gsm iphone 4 user having the same issue and resolving it with a bypass wire. But in my search of finding a write up about a cdma bypass wire it always comes up empty. Please help. link is a picture of what my mother board looks like without the connector and in the picture I was able to get three strong solder in except for that one pad. To anyone else that might run into the same problem I was finally able to solve my issue because with the battery connector on and missing the one pad the phone turns on but does not charge and restart by itself. So I put a bypass wire by testing another good motherboard to see where that one pin goes to.